The X-Men series with the all X-woman team is still going and I think it finally has a story I can get behind. I just could not get interested in any of the stories they were telling before now. The John Sublime story? The fact that I had to ask who the hell John Sublime is and the writer had no interest in explaining killed that one for me. And I wanted to get behind the Lady Deathstrike story but it turns out that Lady Deathstrike is dead and her mind is in another woman’s body and… well screw that convoluted mess. I almost stuck with the recent story that saw the return of Deathbird but I was just not in the mood for the X-Men in outer space. This new story arc however. This one is good. This is what I have been waiting for from this title. The X-Men investigate a natural disaster that is not so natural. Storm ends up getting trapped underground and the others go looking for her. One by one the different members of the team are getting their moments to shine as they continue to look for Storm and uncover the cause of the disaster, also there are underground monsters to fight. It looks like the land itself was brought to life by nuclear testing but it has remained dormant until now for some reason. In the most recent issue Monet St Croix had the spotlight and it got me thinking about the character. Here she is on the cover of a past issue. And here she is back in her Generation X days. 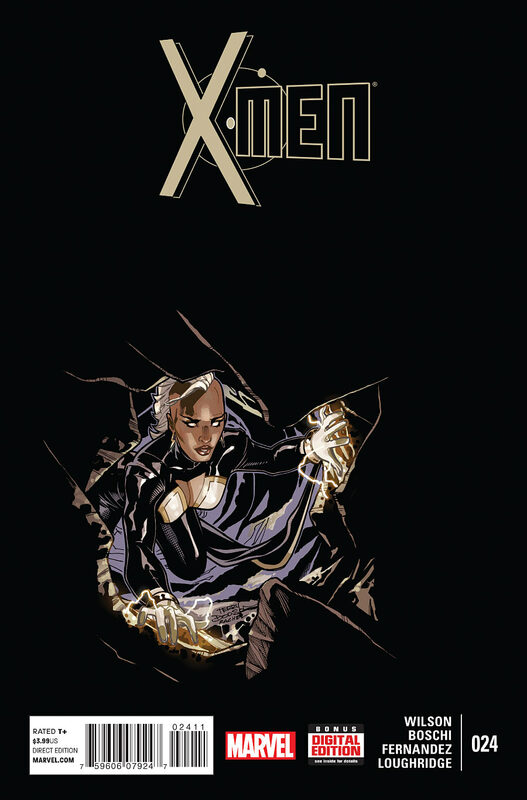 I don’t know how many people remember Generation X or Monet’s origin but as with many things related to the X-Men it gets convoluted almost to the point of being infuriating. Generation X was born from the Phalanx Covenant crossover during the 1990’s. The Phalanx were techno-organic aliens that wanted to assimilate Earth but for some reason mutants were immune. So the Phalanx kidnapped some young mutants who would become the Generation X team. Monet spent most of the issue silent not interacting with the others but by the end she took charge of the situation and helped everyone escape, I assumed she would be the team leader in the future. Early on in Generation X it turned out that Monet was autistic, that is why she would go back and forth between being high functioning and almost catatonic. I am not sure how accurate a portrayal of autism this was but still she was a prominent character dealing with mental illness. I have struggled with mental illness my whole life. Monet and I do not have much in common and as far as I know I am not on the autism spectrum but the character had a special place in my heart when I was a kid because she represented something I had never seen before, a person with mental illness who could not only be heroic but could be a leader. This made the things that eventually happened to the character all the more depressing. First of all it turns out the Monet in Generation X was not the “real” Monet. The Monet of Generation X was actually two twin sisters who had merged and one of them was autistic so she went back and forth between their personalities. Comic books everyone. Meanwhile the original Monet has been turned into the red claw creature Penance by her brother because… reasons? Anyway Monet got turned back to normal and took her place on the team while her sisters had a bunch of weird stuff happen to them before eventually ending up in continuity limbo. This whole thing felt like a huge betrayal back then. Marvel had given me this character that represented an aspect of myself I did not usually see represented and then they snatched her away. To this day I have very complicated feelings towards Monet. I know a lot of people like her and I want to like her but every time I see her on the page I remember her first appearance during the Phalanx story and I remember what she once represented to me and how it still feels like it was taken away.